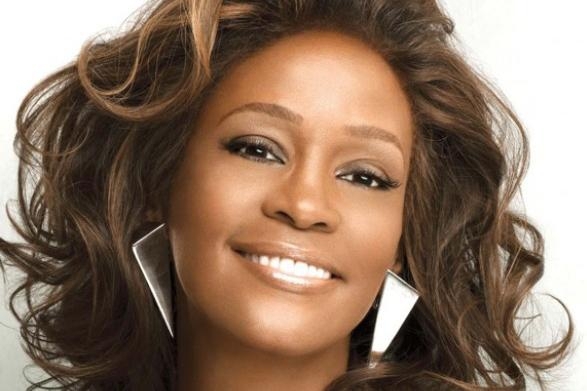 Just like much of the world, I am shocked and saddened as I hear the news about Whitney Houston – dead at the age of 48. I’ve always loved Whitney’s music – her voice was so amazing and until recent years, her onstage presence could make us forget all about the demons she battled privately. Not only did she fight an ongoing battle with mind-altering substance addiction, she also was in the spotlight several times as a result of domestic violence with her husband Bobby Brown. Despite her many gifts -- such as her stunning beauty and enormous talent -- her private life often seemed to be nothing to envy. At the time of this writing, it has not yet been confirmed whether alcohol and/or drugs played a part in Whitney’s premature death. But those of us who followed her career are having trouble believing otherwise. We all know that she had several very public relapses, and that there were times when her performances suffered as a result. Even with these struggles, Whitney’s repertoire includes many memorable award-winning hits such as “How Will I Know?” and “I Will Always Love You.” But my favourite Whitney Houston song has always been “The Greatest Love of All” – what a totally astonishing piece, both because of the richness of her voice and the lyrics she chose to sing. When I first heard Whitney sing this song in 1986, I was still in the throes of active addiction -- drinking, using prescribed medications such as Valium, Demerol, and codeine (for Crohn’s Disease), and smoking pot daily for many years. Although I was still a fairly high-functioning addict holding down a good job with a nice place to live and a car to drive, I was miserable. My life was going nowhere – all I wanted to do at that point was smoke dope in my apartment with the phone turned off and the curtains closed. I didn’t realize until the following year that I was an ‘addict’ – the whole idea of addiction was not on the radar then the way it is now. But I was very depressed, with little knowledge about how to change that or any hope that I actually could. As I look back nearly 25 years later, I remember the bleakness of it all as if it was yesterday. And then I heard that song – that powerful, beautiful, amazing song -- and something shifted for me. Even though I still continued to use and drink for a while longer, I felt some spiritual stirrings returning – I was just beginning to re-awaken. I somehow knew that the only hope for me was to learn how to love myself, just like Whitney was singing. Could I possibly love myself? Did I even deserve to love myself? How would that ever happen? There I was in my apartment with the drapes closed, nobody else in sight, stoned out of my mind – but somehow I knew this was what had to change in order for me to want to continue to live.